We’re happy announcing Joan and Ben’s one year anniversary, which they’re celebrating today, concluding a recent trip to beautiful Greece. 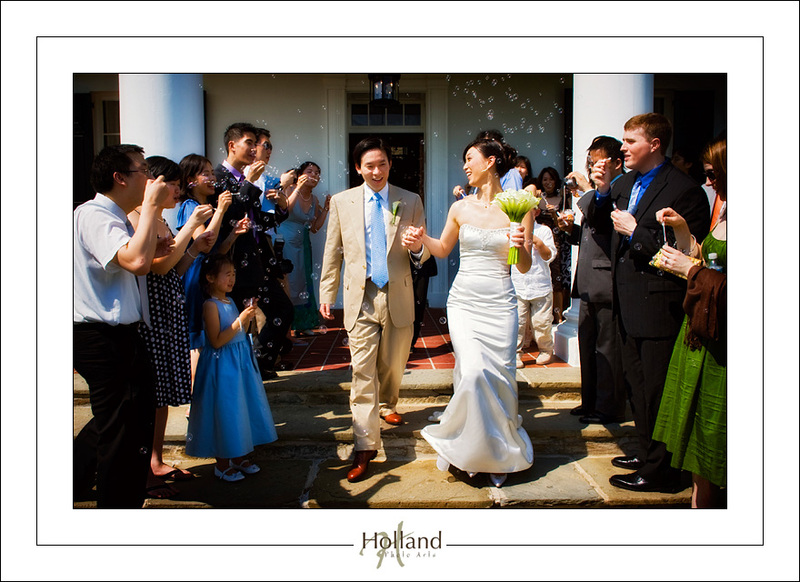 They married in an outdoor ceremony up at Glenview Mansion in Rockville, Maryland, and despite the intense summer heat that day, they and their guests were undeterred and had a wonderful time that day. We’re delighted they’re enjoying life as a couple and celebrate with them. 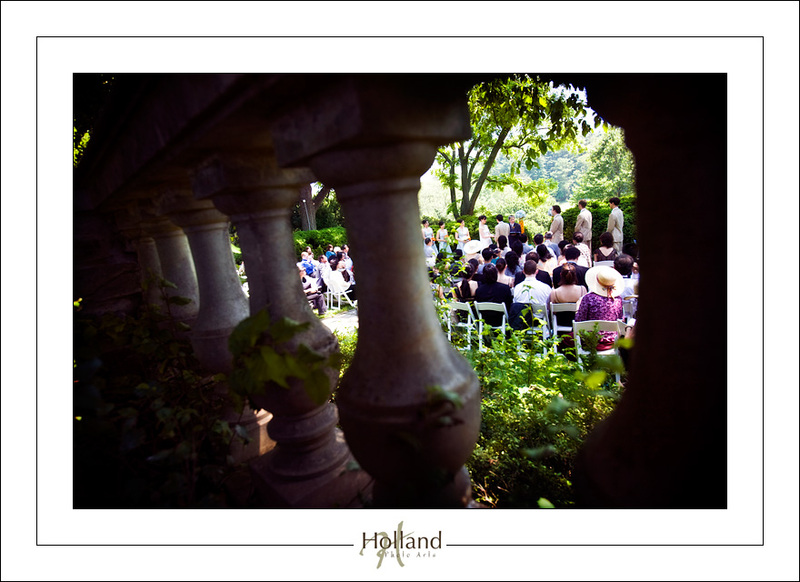 Here are a few of their favorite images from their wedding. 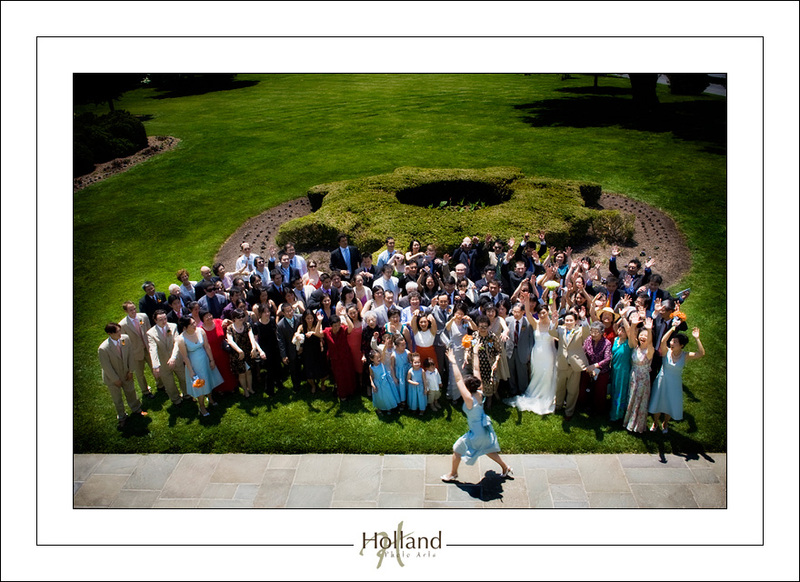 One of their bridesmaid’s suggested doing the “wave” for their group shot of all the guests. That was fun! We’re also happy to announce their wedding will be featured in an upcoming issue of a wedding magazine (we can’t name it just yet) but of course will let you all know when it hits the stands and where you can see it. We can’t believe how quickly one year has gone by. 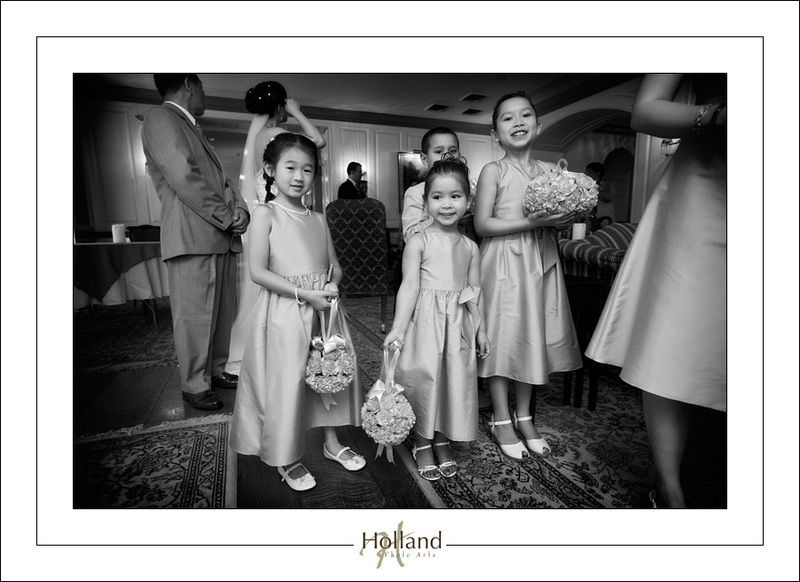 Your beautiful pictures continue to bring us back to the love and joy on that day. Thanks so much!